Due to advancements in technology, machine learning has evolved from being a mere concept in science fiction to something that’s very tangible. Now a widely used process, the medium is being used across a variety of segments to achieve tasks more efficiently. Whether you employ smart AI solutions in your enterprise actively or if you use some software that adapts to the needs of your small business, machine learning is at play to help you with your day-to-day processes. But not all applications of the technology are alike. To speak of, there are two basic types of machine learning — supervised and unsupervised. Users also need to make sure that they are choosing the best fit between these two options to get the most out of these technologies. Supervised and Unsupervised Learning – What Does it Mean? Supervised learning is when you define a set of process labels for your model to learn and process data. It then follows the trail of your provided data set against your pre-defined learning mechanism and provides you the end result with data labeled in a manner as you had taught it to classify initially. It is most widely used in classification models, where the input of data has to follow a mapped output. But it can also be used in regression models, where continuous output is expected with mapped input. In accordance with its name, supervised learning takes place when a data scientist or an IoT trained person “feeds” information to the learning model. The information provided acts as an instruction to the data model, which is later modified with continuous supervision. It is similar to teaching students in a university. They are capable of performing complex processes, but they need to be guided first to achieve that feat. The performance is then compared to how effectively they followed the pre-defined learning process. Unsupervised learning on the other hand, does not require a data scientist to chaperone the model after its initial development. This is a more abstract but complex version of machine learning, where the model has to identify data, determine characteristics, and process labels on its own. It does not need a set of pre-labeled guidelines and it has to learn to make its own way through the dataset. The end result could be provided in a variety of settings, but it is not to be compared to a label. This model is applicable in scenarios where data scientists cannot or do not want to identify pre-defined labels for the output in order to have analyses from a different perspective. Unsupervised learning model is machine learning in an advanced form, where the machine teaches itself. The same dataset can be processed in a variety of views, including but not limited to anomaly detection, grouping of same objects together (clustering), and identifying similar data objects by association. Which is Used More by Businesses? Supervised learning is widely popular among a host of businesses due to the outcome and performance being subject to assessment on the pre-defined labels. The more complex unsupervised learning is applied when a dataset has to be approached via a number of perspectives rather than a pre-defined approach. Used for data classification, Supervised Learning can be used to segment a set of properties across a variety of classes. For instance, it can sort real estate listings into condos, villas and mansions, which can be further classified based on their price points. On the other hand, it can help sort automatic playlists based on artist name, genre, and chart performance. Supervised learning can find answers based upon pre-defined questions. It can provide risk analysis suggestions after analyzing historical data of similar investments in the market. Similarly, it can provide you with market predictions on the increase and decrease of prices based upon any historical data that you have on the segment. Unsupervised learning goes a step beyond classifying data through pre-defined labels. It can help analyze data in aspects that you may not have realized before. For instance, it can go through customers’ purchase history and identify personal association between purchased items without the need for labels. It can let you identify purchase behaviors that had not been identified before and can help you to craft helpful marketing campaigns accordingly. Unsupervised learning can help process information in segments that can be detrimentally restricted by labels. For instance, while analyzing a set of financial transactions for anti-fraud and anti-money laundering, humans may miss out new patterns of anomalies amongst large datasets. An unsupervised learning model would always identify such instances. Here are a few comparative examples of both learning models. A supervised model may use pre-determined labels to segment a dataset of photos, such as classification between scenic locations, people, and animals. An unsupervised model, on the other hand, may use the same dataset to go beyond those labels and identify the types of scenic locations, the groups of people in the picture, and the characteristics and habitat of each animal shown to it. Supervised learning could be taught to go through a historical set of data under pre-defined labels and then use it to analyze a set pattern to see how certain historical investments led to historical success or failure. Based on these analyses, Supervised Learning can also provide businesses with project market investment suggestions. Unsupervised learning may go beyond that and come up with assessing the demographics of investors involved in the decisions, as well as tackle the various factors that went well or went wrong with each investment. Since machine learning is now employed in a variety of segments, it is not unusual for it to show up in daily applications. Once such application is Microsoft Azure Machine Learning, which has made strides in providing learning models to businesses of all sizes. Microsoft Azure ML packs multiple uses cases for a variety of industries, including but not limited to healthcare, insurance and retail. Here are a few ways how the application is helping businesses achieve their goals. Through the help of historical data, the system can help you assess anomalies in a radiology test, detect tumors that would otherwise be missed out by the human eye. Through application of deep learning, the system can help you predict outcomes of a particular procedure and help patients make informed decisions. With the utilization of unpredicted labels, the system can study a dataset about the onset of a particular disease in a specific geographical region and suggest reasons as to what led to their increase in the first place. By the usage of similar customer data, the program can help you identify if a customer has optimal level of insurance and what kind of services could help them. Through the analysis of properties through visual cues, the system can determine the state of the property and suggest coverage accordingly. Through the help of historical data pertaining to fraudulent transactions, the system can help identify claims that are fraudulent. Sentiment analysis predicts actions on previously demonstrated purchase and browsing behaviors to make marketing decisions accordingly. Demand forecasting can help you optimize your price that which could lead to larger profits. Visual search allows users to search for products through the provision of images. This goes a long way into making sure that your business stands apart from its competitors. These are just a few instances of using supervised and unsupervised learning in business applications. There are several more applications currently available that can help cater to your needs, but Microsoft Azure ML remains one of the topmost choices within this segment. 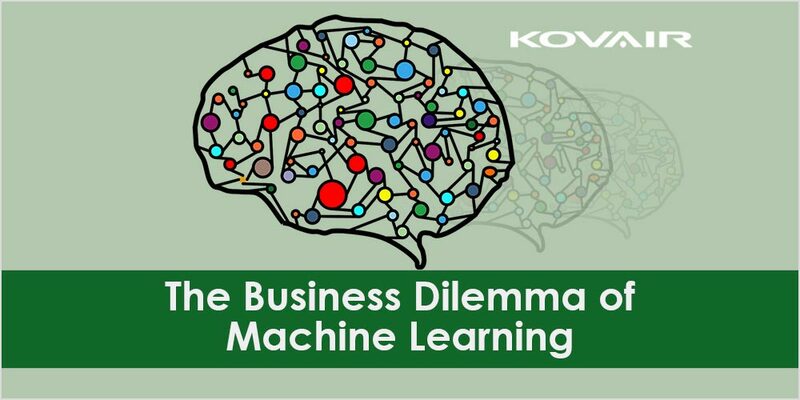 It completely depends upon your needs and your business model to select whether a by-the-lines supervised learning model would be a better fit for you or if the unprecedented actions of unsupervised model would be a better match. Some applications are currently using the model of semi-supervised learning. Microsoft Azure ML is one of them but products such as Google Android are also doing so in order to meet a number of goals, such as the need to curb potentially harmful applications. If you are currently looking for learning applications that could help you streamline your business, then make sure to do your own research and reach out to peers who are currently in the process of experiencing this technological marvel. By doing so, you would be able to discuss your needs with an expert in a more streamlined manner. Previous Post:Bridging Bi-Modal IT! The next revolution: Agile Tools for Everything!